Deputy Head of the Health Ministry's National Institute of Hygiene and Epidemiology Dr. Tran Nhu Duong announced at a meeting to implement diseases in the North on February 15 in Hanoi that the health sector planned vaccination campaign against Japanese encephalitis for 180,000 kids nationwide. Dr. Duong said that to prevent the diseases which fall in April, the Ministry of Health will administer injection of the vaccine for 177,879 kids from six to 15 years old in 28 districts of 16 encephalitis – prone provinces including the northern mountainous provinces of Son La’s Sop Cop, Mai Son, Cao Loc Districts; of Dien Bien Province’s Nam Po District and of Bac Kan province’s Na Ri District. Viral encephalitis usually causes brain inflammation and deaths. Japanese encephalitis accounts for 61 percent of infection cases and the country has over 1,000 cases of Japanese encephalitis annually. Dr. Duong said that through monitoring, most of infection cases are kids under ten accounting for 60 percent of total cases in the country and 90 percent of them have not been vaccinated. Those catching Japanese encephalitis will have high fever, headache, vomiting, and a fit of delirium. The mortality rate of Japanese encephalitis is up to 20 percent. Along with the vaccination against Japanese encephalitis, the National Expanded Immunization Program will increase injection of the Japanese encephalitis vaccine for 3.4 million toddlers at the age of one to two years old nationwide. The health sector will use Japanese encephalitis made by Vietnam for the campaign. When it comes to the disease condition in the country, Professor Tran Dac Phu, head of the Department of Preventive Medicine under the Ministry of Health said that for years, Vietnam has prevented entrance and outbreaks of dangerous diseases such as Mer-CoV, H7N9, and Ebola. In addition, dengue, hand-foot-mouth, chickenpox and flu diseases are being kept under control; accordingly the mortality rate is much lower than other nations. Yet he added the dangerous disease will develop complicatedly in 2017. 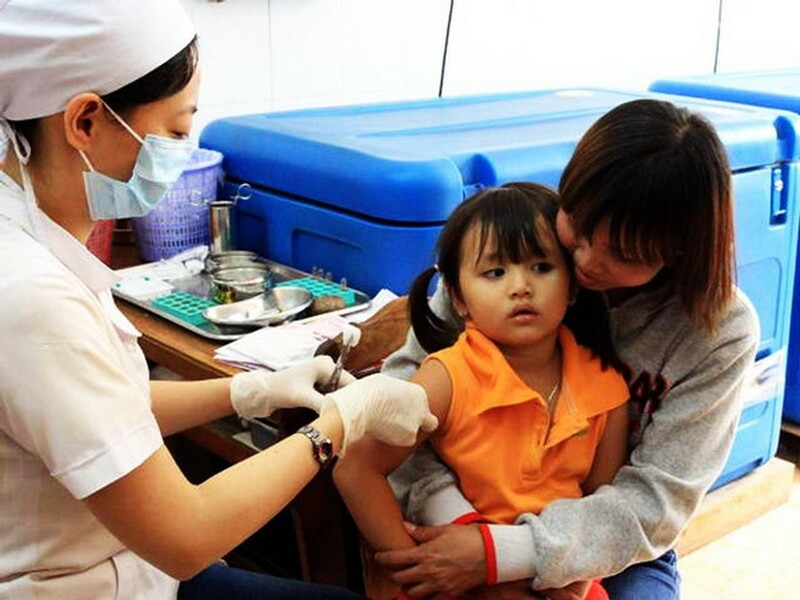 If the health sector is neglected in preventing, above-mentioned diseases will enter Vietnam.